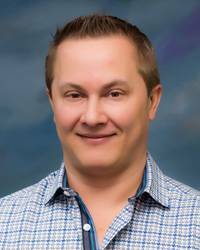 Dr. Mike Rotts has worked as an emergency physician at Guadalupe Regional Medical Center in Seguin, TX, since 2006 and has served as the emergency department medical director there since 2008. Dr. Rotts earned his master’s degree in microbiology, immunology and parasitology--as well as his medical degree--from the Louisiana State University Health Science Center. He completed his internship and residency training at LSU’s Earl K. Long Medical Center in Baton Rouge, LA. He has taught at LSU Medical Center in New Orleans and is also an ACLS and PALS instructor. Outside the ED, Dr. Rotts is an avid traveler.